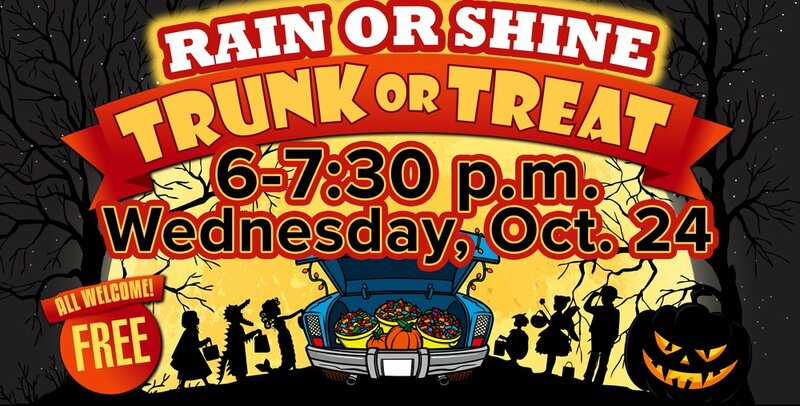 Candy donations needed for Trunk-or-Treat on Wednesday, Oct. 24! Please place PEANUT FREE candy in the bucket located by the Children’s Ministry table. Adult and Youth volunteers are also needed to provide decorated trunks! Trophies awarded for “Best Trunk” and “Best Biblical Theme.” Contact Mardi Bowen at mbowen@fumcplano.org for more information!